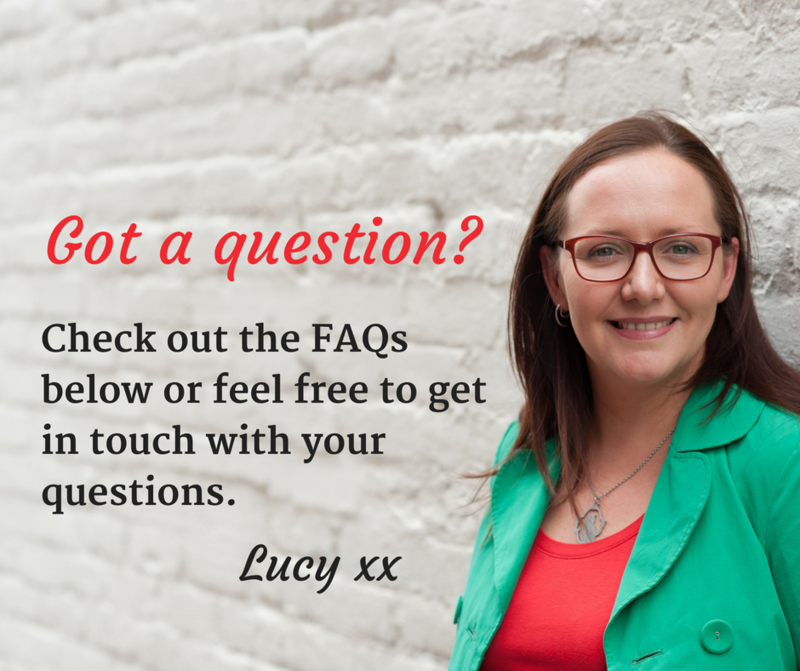 Here are the most frequently asked questions about the coaching journey and my approach. If you have questions that are not answered here, feel free to send me a message via my contact form and I’ll answer any questions that you have about coaching. If you’re ready to chat now, you can book your free 45 minute discovery session today. The end result is to set your goals and create an achievable action plan with clear steps to make it a reality (with my cheerleading support!). Get clarity about what you want, why you want it and how you can get it. Explore and define your values. Explore and weigh up all your options – including ones you’ve not thought of yet. Turn your ideas and dreams into ambitious and achievable goals. Give you strategies and techniques to help you to reach your goals faster. Get dedicated support, encouragement and motivation. Yes, life coaching is a confidential process. Where do the coaching sessions happen? I coach by phone and Skype/FaceTime/Hangouts. Face to face coaching is available for local clients in Kent depending on location and availability. Phone and Skype coaching are good options as they can be done at your convenience and without any additional travelling times for you. You may want to do some or all your sessions face to face. I work from Abbey Place Clinic, in Faversham, Kent. If you live locally and I have availability we can schedule face to face coaching sessions. Sessions can also be held informally in Faversham or I can come to your work place. However, for many people, meeting your coach it isn’t essential. I often combine phone, Skype and face to face coaching. This flexible approach often helps my my clients to help fit coaching into their life and work patterns and is very effective. I offer a free, no obligation 45 minute discovery session by phone to answer any questions that you might have, give you more information about the coaching process and for you to decide if you like my approach. It helps me understand exactly what your challenges are and get a sense of who you are. Packages can be tailored to your needs on request. Just drop me a line. Coaching works best when you commit to a programme of coaching to support your self development and to hold you accountable to the action in your plan! Coaching sessions are booked in blocks as a programme of sessions over three, six or 12 months. We will review as we go along and ensure that coaching continues to be useful for you. Payment is preferred by bank transfer or PayPal (small fee). Invoices and receipts are provided where required. Payment is arranged on booking. For phone coaching: making the telephone call to me. The cost of the call will depend on where you are and the phone service you use. Clients and I often use Skype or FaceTime to make phone or video calls via the internet, which is free (apart from your usual broadband costs). Do you have a contract or coaching agreement? Before the start of a coaching programme, we will both sign a coaching agreement. The coaching agreement outlines the roles and responsibilities of both of us, in particular about having 100% commitment to the coaching process, confidentiality and referring on. You can read a sample of my coaching agreement here. 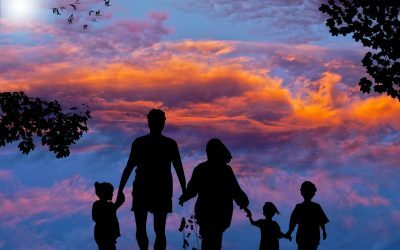 I am a qualified Life Coach and have completing the NCFE accredited EDEXCEL Level 2 BTEC Certificate in Introduction to Life Coaching Skills and EDEXCEL Level 3 BTEC Certificate in Life Coaching Skills and Practice through Newcastle College. 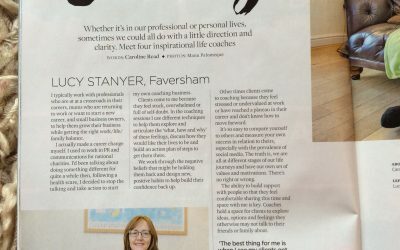 I am also a qualified TFT Algorithm Practitioner, which enables me to teach my clients useful tapping techniques on accupressure points to help relieve anxiety and fears to feel calmer and more confident with making decisions. I am insured to practice, I have Professional Indemnity and Public Liability insurance cover. Do you have a code of practice? Yes. My ethical framework and code of practice is below. I am a Member of the Association for Coaching and also adhere to its Code of Ethics and Good Practice. I am also listed on The Life Coach Directory and on Find A Therapy. I am committed to supporting the individual. My coaching relationships are built on truth, openness and trust. I believe that the client is capable of much better results than they are currently generating. I treat clients with dignity and respect. I recognise any personal and professional limitations and refer the client on if their needs are outside my skills and experience. I respect confidentiality and get informed consent from the client. I always welcome feedback, reflect on my practice and undertake CPD. I comply with legal obligations. I will guard against conflicts of interest. I will represent the profession positively. Registered address: 12 Edith Road, Faversham, Kent, ME13 8SD. You can sign up for my free coaching newsletter. You can also find me on Facebook and follow me on Pinterest and Twitter. 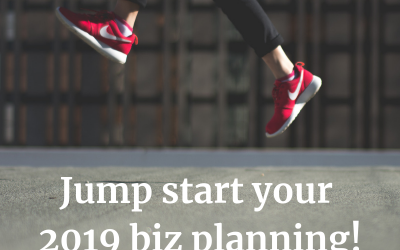 Need a Jump Start for your 2019 business plan?